Dean Stoneley, above, will replace Mark Buzzell as Ford Canada's CEO effective Feb. 1. 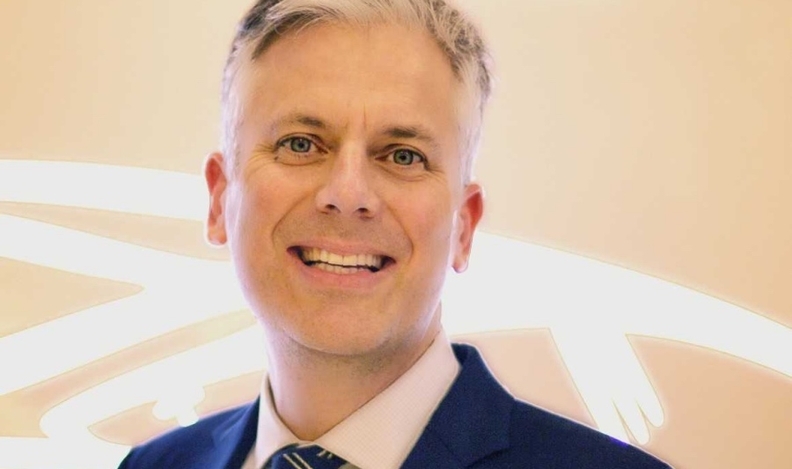 Ford Motor Company of Canada's new CEO will be veteran Ford executive Canadian Dean Stoneley, who began his career with Ford of Canada in 1992. He is replacing Mark Buzzell effective Feb. 1. Buzzell now will serve as director of North American fleet, lease and remarketing operations for the Ford Motor Co.
Buzzell was first appointed Ford Canada CEO effective Jan. 1, 2017. Currently, Stoneley is vice-president and director of marketing for Changan, Ford’s National Dealer Sales Distribution joint venture in China. Stoneley has previously served as vice-president marketing and vice-president sales for Ford Asia Pacific region based in Shanghai, China. During his 27 years with Ford, Stoneley has held a variety of global leadership roles including those in sales, marketing and service in Canada, the United States, South Africa, South Korea, Japan and China. One of the more unique projects Stoneley helped oversee and launch during his tenure as Ford's Asia Pacific vice-president for marketing was an eight-story vehicle vending machine in Guangzhou. It was joint project between Ford and the country's e-commerce colossus Alibaba Group, the Amazon of China. It became operational March, 26, 2018. "It's a neat, novel, fun way to engage consumers, but it's had a much wider reach," Stoneley told Automotive News at the time. "There's a lot of learnings from it." Customers interested in a Ford, be it a Mustang, Mondeo, Explorer or any of the 130 vehicles on tap, roll up to the unmanned structure. They are scanned by facial recognition software and then check out with the vehicle of their choice for a three-day test drive. One customer bought an Explorer on opening day and Ford sold about 10 vehicles in the first month of operation, the company said. “This appointment helps to address our global business needs and drive growth, making us stronger for the future,” Ford spokeswoman Rose Pao said in an email to Automotive News Canada when asked for the reason behind the change. In 2017, Ford Canada’s sales totalled 308,474 vehicles, a 1.3 per cent increase over 2016. In 2018, when the industry as a whole still managed to sell two million new vehicles for just the second time in history, Ford sales fell 3.4 per cent to 297,902 units. Pao told Automotive News Canada that in no way was the change related to Buzzell’s performance, saying that he did not underperform or fail to meet expectations. Under Buzzell’s tenure, Ford retained its position as the top-selling automotive brand in the country for the 10th consecutive year, became the best-selling SUV brand in Canada, and secured investments of $1.2 billion in its Canadian operations, which included opening three new connectivity and innovation centres in Ontario. Stoneley began his career at Ford Canada in 1992, answering customer calls at the company’s customer relationship centre. He worked his up through a variety of marketing, sales and service jobs before eventually moving on to international assignments. Stoneley, who was born in Burlington, Ont., attended the University of Western Ontario in London, Ont., and holds an honours degree in political science.